I received an email from one of my readers a couple of weeks ago explaining how he had failed about building lots of smaller niche websites. He also tried out several other affiliate avenues, but had never really seen much success. In fact, after having his Google Adsense account closed (sound familiar?) and basically seeing the income from 200 of his niche sites go away for various reasons; he decided it was time to change. Well, today I want to share with you the story of Adam Hadar His success didn't come with building niche websites (although he learned a ton from it along the way); but it has come as he decided to create an eCommerce site selling Surfboard Racks! He still cares about getting traffic from Google, but he's much more focused on helping his customers and only using “white hat” techniques. I love Adam's story because it just goes to show you that there are LOTS of different business models out there. 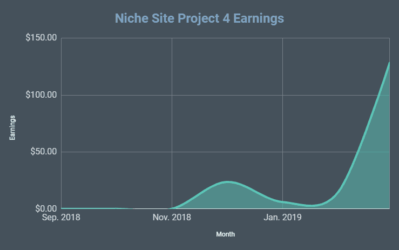 Recently, I've been focusing on sharing niche site success stories (which you can read here), but there are many other ways to find success online. If you have a success story from building niche sites or from other online ventures, please read here and submit your story! entrepreneur, I have online businesses and I am a wordpress developer too. a lot for this failure. only white hat techniques that help to the long end goal of my business/es. when I first got started. content I create to help my visitors even if they don't buy. good opportunity to be related to something I love. attached picture of the view :), the house will be ready in 2 months!! achieved and I'm fighting to get to where I want to get in small steps. Overall, I want to thank Adam for sharing his success story and wish him the best of luck! Even though this story isn't specifically about a “niche site” but rather an eCommerce store; I think its one that we can all learn from and find some inspiration in. I've asked Adam to stop by and answer any questions that you might have, so please feel free to leave a comment or question below. Thanks! I am happy to answer any questions anyone may have. How are you driving traffic to the store? Are you using a combination of PPC and organic? Great store. Very interesting and a great reminder to diversify in all areas. Just wondering, in relation to your niche sites, how different is the amount of income and the amount of work for your new eCommerce site? 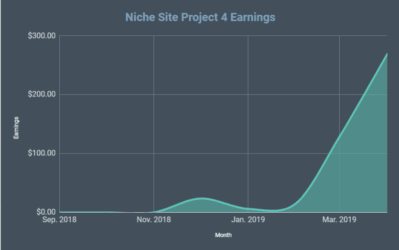 the niche sites I had about 200 of them and I was making $2000 when my account got banned and then the rankings tanked, those sites were set and forget kind of sites (content from india for $1,and really spammy backlinks), now i make more and invest more time but i also feel that the earnings are more long term and im trying to create a sort of brand. I do still like niche sites and will create more in the near future, but ceratinly with a lot more quality content and less backlinks :), like spencer teaches in his public niche site project. Great story and a great come-back! I too had about 25 sites get hit and lost all my income when penguin happened… and I can remember, like you I wanted to almost cry! You didn’t really get into your traffic generation strategy as you say not to be dependent on Google. Would be happy to hear your thoughts on what you do to get traffic to your site. I am assuming it is facebook, twitter and google+. Hi Chris, actually i still kind of depend on google as most of my traffic comes from there, but what i meant is that i don’t think about it or try to build links or even check my rankings, for now i just try to be the best site in my niche and the rest (google rankings) hopefully will follow, it is working so far and as of today 40% of the traffic comes from direct visitors that type in my url, i guess its word of mouth so i’m happy with thst side effect too. I am still experimenting with all sorts of niche sites because i love the idea and as we all seen from spencer its very doable if you put in the work, but don’t have much success with that as of now. Adam, I’m glad you came back even stronger after being banned by Google AdSense. May I ask how the cost of living currently is in Costa Rica? A couple years a lot of people were talking about it, but I heard it got a little more expensive in the meantime. What’s your experience? Also, other than spammy backlinks and content from India, what other grey/black hat shortcuts did you take on your old niche sites that got you banned? Yes Costa Rica definitely got more expensive in the last years, to answer your question it really depends what kind of life you want to have, locals get around with $500-$700 per month… I would say that to live really good, travel from time to time and drink a lot of smoothies 🙂 ,you would need anywhere from $1000- $1500 per month (depends on you), if you can spend $2000 then you live like a king, right now I need to save a bit because we are in the middle of the building process for the house so I get around with $1000 and try to never pass that no matter what, and I don’t. Regarding your second question, I really used to do a lot of spammy things: scrapping content, autoblogs, used every tool there is to build links, used to buy the cheapest content possible, didn’t even care about the WP theme that my sites had …..really tried to make money quick and easy, ..I don’t think any of this things work, as you see I thought I’ve made it with a monthly passive income but then got a surprise from Google.., with that being said I do think I’ve learned a lot from all that too. that’s good to know, as I see the same mindset with newbies in the SEO/niche site building game… they think money is a fast result, so they want it now, if possible, thus, they cannot imagine to create something good (amazing content) for the future, they do what you just said… scrape content, build cheap links, and so on. any mini site should start with a long-term view that one day it could turn into an authority site, isn’t it? Couldn’t agree more John, even Spencer, he showed us a niche site but that doesn’t mean he didn’t put a lot of hard work into it and even contacted someone that is interested in his niche and have experience to create content for him. but if you read between the lines in Spencer’s public case study I think he did put a lot of work and also he says that all the time but is easy to skip that part (the chart, contacted someone to be a real writer). Forgot to mention in the article that even tho I had a lot of bad content and bad backlinks (that back then used to work), until this date i’m not sure why my Adsense account was disabled, I never clicked on my own ads or had some kind of suspicious clicking as far as I’m aware. Did any of you guys heard something along these lines? Congratulations!! Your story is quite inspiring. Can you please tell us in bit detail about your traffic? I understand that you said that quite a lot of traffic is coming from google, so there has to be some links..
And anything else what you have done to attract people’s attention? 50% of the traffic is from Google and the rest is from direct visitors and a bit of referrals too. I didn’t build any sort of links to speed up my ranking process, I got some back links from real people or surfing blogs that linked back to me because they bought and they liked the products/ service, I do write to surfing related people a lot of emails just to make connections and send images just to let them know about my brand, but never request a link or even mentioned links, tho they do link to me, so those are natural links too I would say. Also until very recently I was the only one in my niche that had video of products and explanations on how to install them, so that gave more credibility. I think in general surfing is a passionate sport (lots of blogs about it, images, online videos, maagazines etc) so I did get quite a few links from forums and this kind of things that people bought from me and shared with their friends. I also listed my site in some business directories like thefind.com and such , but not to have a backlink (even tho they do credit you with one) but because they drive sales too. To answer your question better, you don’t necessarily need to have backlinks to rank for keywords, my site gets 90% 0f google traffic from long tell keywords that are ranking only because my content and product descriptions are good and unique, also I want to make clear that I do a lot of marketing but I do not build links, I just create a better brand…its a small one too because my niche is very small. 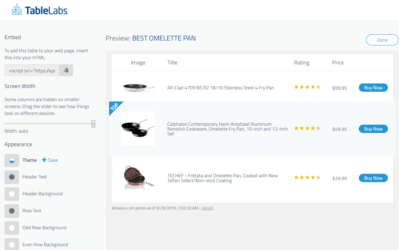 I’d like to know how do you select the products you promote on your eCommerce – do you do some type of research based on keyword demand in the search engines? Usually with niche sites I do keyword research as Spencer teaches (he is the best at it!) . Spencer, I love this series. Very very inspiring! Adam, great post. You know how they say that you’ll find true love when you finally stop looking? I feel like Google rankings and traffic are like this, as you describe. I also love that you’re finding success with a site linked to one of your passions! It reminds me of an ecommerce site we sold on Flippa a few years ago (baseball pitching machines, which I didn’t even know were a thing) to a 17 year-old who loved baseball. You can’t beat the quality content that comes from actually knowing what you’re writing about, versus ordering cheap articles about something you’re vaguely familiar with. I’m still not where I want to be but I hope to get there…. But I still think that I will do lots of niche sites again, just with better strategies as Spencer does because I do see that is really profitable, I just wasn’t smart enough to do it the right way back then hehe…. By the way, Adam, did you start your site with an exit option in mind like for e.g. selling it at the auction or via a private listing – or is it a pure hobby web site that you want to showcase publicly, and at the same time keep it for yourself (and grow it) for many years to come? I never thought of selling it , I really hope into developing into something bigger then it is now! Great story Adam. Also kudos to Spencer for this series and the wide mix of different types of methods. I’m particularly interested in how you built up the e-commerce site. I’m just starting out and so far only know the simple affiliate stuff. In your site how did you set up the cart and credit card checkout? Were these hired out and custom made for you or were you able to use a plugin for this? Also, how do you go about getting the products and shipping them when you’re in Costa Rica and the warehouses are in the US. It would really be great if you can get into detail about the e-commerce part of things. Hope you don’t mind sharing. You don’t need to build any kind of custom cart, there are a lot of shopping cart companies out there that like wordpress let you blog and create simple site, those companies (like bigcommerce,shopify, woocommerce) will let you create physical product stores. I personally use wordpress mixed up with woocommerce.com that is a plugin that will turn your site into a store, the theme and design I created it myself but you can also use free themes or even bu themes for $50. 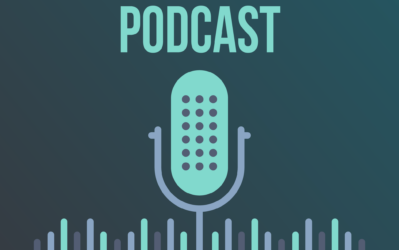 Regarding the warehouse,shipping etc the best for you will be to check out http:///www.ecommercefuel.com, Andrew over there can explain all this better then me, and he just created a podcast (literally today) too and talks exactly about this question! he is the real deal, with many unique insights. would you mind sharing some quick tips for Forex lovers/addicts, like what is key in this industry to win long-term, what do you recommend we do, and what to avoid? did you personally invest in Forex or just worked at the company? do you also have any investment tips for Stock investing for e.g.? Thank you for sharing with us! Love the example Spencer keep them coming! Very inspiring. Do you use any Goolge adwords to help generate traffic or is it all organic? I did try some adwords and I was losing a bit or breaking even (for like 3 months) , then stopped the campaigns because of that, I’m not good with adwords so I’ve used an external company to manage and create the campaigns. I will probably give it another chance very soon, specially with the product listing ads, as I’ve heard they are more profitable. Yes great Idea. I most of the time when I search for physical products that is the first ads that are on the page. Thank you again for sharing with everyone here. Congrats Adam! Spencer thanks for posting another great success story. 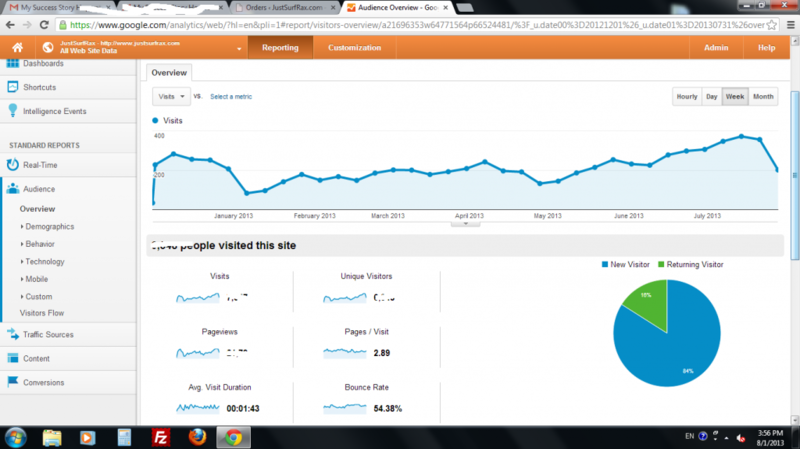 It really helped me push through and inspired me to do some more work on niche sites. Thanks Adam & Spencer, this story was very motivational. Thanks for sharing your story. This is something I have been looking to do. I have found a few tiems I want to put on my websites but I never liked the idea of relying on someone elses sales pages. Right now the best resource that I know of online to learn about this kind of things is http://www.ecommercefuel.com, you should definately check it out. I love reading these! Thanks for sharing your story with us! Are you drop shipping your products or do you sell them directly? Best tip ever. “Never Give Up” Just direct to the point. Congratulations on all your success. That’s awesome that you stuck with it… I’ve been trying my hand at niche sites, and getting nowhere. As with all things–if you don’t quit, it’s just a matter of time. 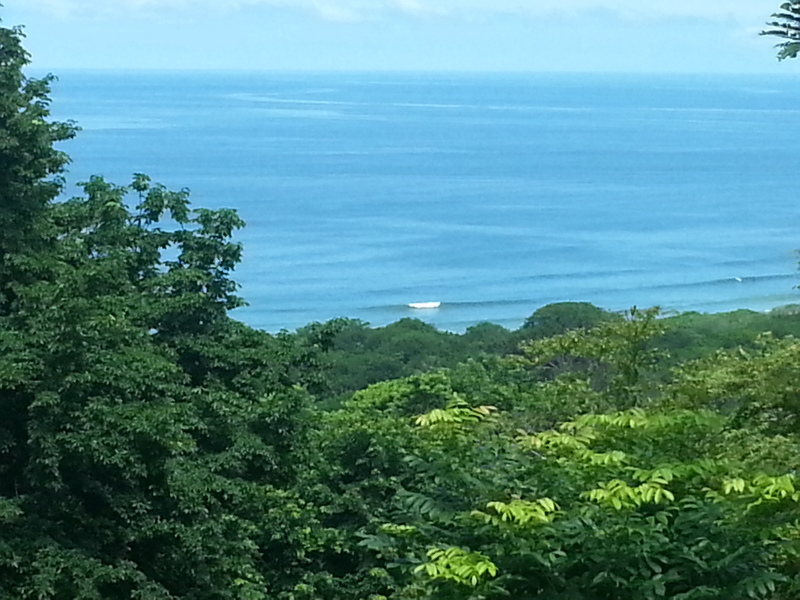 Ps, my girlfriend and I went surfing in Nicaragua in February–beautiful. The ex-pat community down there was nice, and I could see where a move down there would be very satisfying. Nicaragua is awesome i’m going there next week as part of my visa renewal every 3 months! I’ve noticed that on your survival knife site (as well as a bunch of the other niche sites I’ve visited), that nobody is using tags. They use for the title, and then for headings in the text, but no tags. Is there a reason for that? I imagine it helps SEO in some way, but I’m not sure how, or if I should mimic the style on my own pages. It looks like you are drop shipping product. Can you elaborate on how you are doing that? How did you find a wholesaler? Great story here. I like that this site is more in the ecommerce direction. I sent you an e-mail through your site Adam! Why is everyone falling for the “no link building” tip that has scraped the surface this year after all the updates. Hasn’t anyone realised that link building works, a few weeks ago one of the most competitive niches “payday loans” in the u.k had spammy websites in the serps because of superior link building. 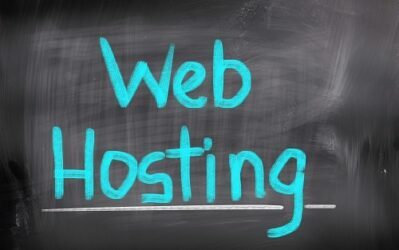 It is still a major process in building a website. Furthermore relying on Google for web traffic is also a must for niche websites, no one visits a site over and over again if it’s a 20 pager or a 30 pager. SEO journal shows that, even big authority sites have 60% search engine traffic. Unless you are focusing on list building, please get rid of the horrible stance as it is scaring newbies away from making a quick buck which is still possible. 2) im not trying to make a quick buck, I’m trying to make it my job. Also i’ve answered what I meant about google more specifically in the comments yesterday. Success story really motivates me to keep on going! Yet another inspiring story ! Best of luck mate !You’re business is doing very well and will reach new heights for sure ! Thanks for sharing . Thanks Spencer love these articles. I’m definitely a fan of niche sites within your passion that add value – not just internet junk. I love seeing how others have made it happen! curious, are you drop shipping your products or do you have a warehouse? also, don’t see where the topic is covered in the podcast you mentioned. there are only 4 episodes, but do you know which one discusses this? Very inspiring story. I think I’d cry too if I lost my Adsense when having 200 sites using it! That’s one of my biggest fears now. I did lose my account way back in the day but luckily it wasn’t my main source of income. Though I like the success stories, but I find you have put too many of them recently. You have lost your voices and I’m eager to listen to what you are working at, and your progress. It seems to me that you have nothing much to share with us anymore. You are using these success stories as a blind to cover your holes. Pls, experiment more, show us more ways to make money online, rather than these niche sites. Great Interview Adam & Spencer. Many of them build sites for passive income using adsense or amazon etc..which of course I don’t say it wrong but it is clearly evident from you story that the fate of all those sites which are exclusively built for specific network is never a good idea. Diversification is very important which will protect in case of any of these kind of external issues. Inspiring stuff, though I would also like to know if you are dropshipping product and more importantly how you found and established relationships with your suppliers. in order to find suppliers you will have to search online and do cold calls…honestly there are lots of suppliers that are hard to find as they are not advertised. regarding the relationship with them I would love to have a better answer but as I see it is simple: if you sell their products and represent their brand in a good way there is no reason for them not to like you or want to do business with you. You only need to forward them sales and pay for your invoices..you don’t need to talk to them much over that in my experience. Thanks Adam, good to hear. I would disagree that this isn’t a niche site just because it’s an ecommerce site. Surely the ecommerce is the monetisation method. racks for surfboards still seems pretty niche to me. I’m working on my amazon affiliate site which got its first sales two days ago. I’ve done keyword research for my second site which is likely to be monetised by adsense and I hope my to move onto a dropship ecommerse site next. first of all, it’s really inspiring to hear about your stories. I believe having our own e-store is a way better and more stable business rather than “thin” affiliate and adsense site. We control our own expenses, have way better profit margin, and we get brand recognition. As for affiliates, no matter how good our review is, when people make purchases and they feel good with it, what they would recommend IS always the merchant site. They wouldnt truly remember our site because our site would never have the “brand” name in our website. But usually my concern is how are we able to find the competitive merchants? Did you just knock one by one merchant in costa rica or how? My second concern is that how do people gain trust on your site? I know you get traffic from SEO but how do you gain their trust in the first place? For example, if i want a surfboard why would i go to your website instead of let’s say something like ebay trusted seller? Thirdly, how do you promote your site when you were still having zero traffic? You said you do white hat SEO but per my understanding there’s no such thing as white hat SEO except just building content. Any link building like web 2.0 links or even guest posts sometimes are considered grey hat so what did you do exactly to find traffic when you had zero customer? Hi Adam, first, congratulations on your successful new ecommerce site, moving to Costa Rica and living your dreams–that is awesome. My question to you is this: clearly, since you are ‘location independent’, you must sell via dropshipping, correct? If this is the case, how did you go about finding a reputable company/companies who would do this for you? This story is awesome and interesting.